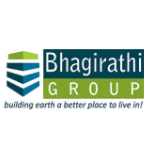 Bhagirathi Group is the name of trust. Our 1,000 customers who are already associated with us are fully satisfied with the services rendered by us from last several years. We started with the dream to serve our customer's livilihood needs & satisfied them with our systematic, organized & mechanism of corporate culture. We are registered company, our registered office is Indiranagar Lucknow. We have high end infrastructure fully equipped with strong softwares. We perfomed as a biggest player of corporate agency in Insurance SECTOR from last 5 years & qualified the top honour of Insurance Sector. Now BHAGIRATHI has decided to fulfil the most important needs of every common people. We are fully committed to provide the affordable Plots/Flats/Farm House etc. We give you an opportunity to earn more with the investment in land, infrastructure and farmhouse. Beside this we have superb business plan to earn easier for everyone who want to work with us.